Five year plans are for the birds. Now, don’t get me wrong. I don’t think it’s bad to have a general idea of where you want your life to take you. I don’t think it’s bad to set goals and work for them. But I don’t know how I feel about this whole five year plan thing. If you had asked me five years ago where I thought I would be today, I would’ve told you that I’d have graduated from my college (true) with a degree in English with a creative writing emphasis (wrong), that I had spent a semester in Scotland during my junior year (wrong), that’d I’d be employed as an editor in one degree or another by a major publishing house (wrong), and, perhaps most significantly, that I’d either be in a serious relationship, engaged, or married (so, so, so wrong. Laughably wrong.). As a second semester senior in high school, this is exactly what I had my heart set on, and I was 100% sure my life would turn out that way. As it turns out, I was (almost) 100% wrong. The reason I was wrong on most of those counts is because I was open to trying new things. Even though I had this set-in-stone (in my eyes) plan for my life, I kind of took things as they came to me. I joined a student organization I never, ever dreamed I’d be a part of as a way of trying to get more connected to campus after an awful first semester of college, and it completely changed my career direction and, consequently, some of the major decisions I made in college (like doing an internship in Chicago over spending a semester in Scotland). I applied for positions and jobs I never thought I’d apply for and I got them–and they changed the direction of my life. I don’t know where I want to be five years from now. I don’t know if I’ll still be working the job I’m currently working. I don’t know if I’ll still be in Chicago. And to be honest, I really think that’s okay. I chose to post this today in place of my usual Thursday Things because January 17 holds a special significance to me. Two years ago today, I moved to Chicago for the first time. I’ll be the first one to tell you that I did not want to be here. I wanted to be back at my college, and I hated myself for applying to and accepting a spot in the program where I spent that semester. I never, ever could have dreamed on the drive that morning from Michigan to Chicago that I was about to start a program that would open all sorts of doors and completely change who I am as a person for the better. 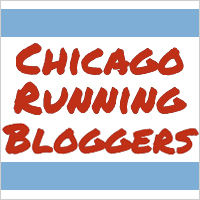 I can confidently say that if I hadn’t done that program, I would not be a runner, I would not be a blogger, and I would not be living in Chicago right now. All three of those things–major parts of who I am today–are a direct result of my semester in Chicago. I guess the main thing I hope to convey through all of this is that I think it’s more important to be open to the unexpected than to have tunnel vision while working towards your goals. Like I said, I don’t think it’s bad to have goals, but I think it’s important to be flexible in how you go about achieving those goals. When I moved to Chicago in June, one of my goals was to make friends, which is a lot easier said than done when going from an environment full of clubs and organizations and groups entirely composed of your peers (i.e. : college) to a city of 2.7 million. I planned to do this through sports leagues. Then I ended up volunteering (for, admittedly, a very hot second) at an animal shelter…where I found out about a hip hop class…which I ended up taking…and then taking again with two breakdance classes thrown in on top of it. Do you think I ever dreamed I’d take a hip hop class when I moved? Absolutely not. That was in no way on my list of Potential Places to Make Friends. But I was open to the idea, and it ended up being, to be honest, the best decision I’ve made thus far in my Chicago life. I think being open to the unexpected can provide us opportunities and experiences beyond our wildest dreams, and ultimately, I think that leads to a more satisfying life than following any five year plan. I love this, and I 100% agree. Almost two years ago, I was offered a job that required I move to Charleston, SC. I had never even visited Charleston before, but I accepted.. and I’m so glad I did. Had I stuck with my “5 year plan” I would definitely not be living in SC, and I would’ve missed out on a ridiculous number of life experiences I’ve had at this point. I’ve been stressing about the future a lot lately, but there’s really no point. Every time I come up with a “plan,” something happens that throws it off anyway. I think the future and all the unknowns it holds is a really hard thing to not worry about. I know it’s definitely something I struggle with and I have to constantly remind myself that just like everything that I worried about in the past worked out, whatever my future holds will work out as well. Very, very tough to remember, but it’s a nice thought to hold onto when the stress gets crazy overwhelming. So true! I don’t think anyone grows by staying comfortable, and honestly I think I’d rather be able to look back on my life and see where I’ve come from and how it led me to where I am than look back on my life and realize I did nothing with it because I was too afraid to step outside what I knew, you know? Getting into those last couple of years of college is definitely a scary time, but I think one of the more remarkable things about the end of college for me was seeing how things fell into place for people. Not everyone from my class is working in his or her dream job, or necessarily even his or her field of study, but it’s incredible to see how opportunities come up for people that you never would’ve imagined. Thanks girl! Your enthusiasm really means a lot 🙂 I definitely never, ever would’ve guessed that I’d be where I am today, but I’m so glad things worked out the way the did. That’s totally true. We can plan all we want, but we can’t control everything (a very, very hard thing to accept! ), and I think recognizing that things occur that are beyond our control and being able to roll with that really affects how we handle different experiences. Amen sista. I am absolutely terrified of the concept of a five year plan (mostly because five years I will be nearly 32) so I don’t have one. This is odd to people that know me as the type A person that I am and a 5 year plan seems so Emily-like. I like to plan my hours (minutes) not my years I guess. But, honestly, if I’ve learned anything the last couple years it is that I don’t really know anything about myself or the world and that my likes/dislikes are as volatile and changing as a toddler. But I think it is okay. Well it has to be okay. Hahaha I think that’s totally okay. Honestly, I think changing likes and dislikes is a good thing. I like some of the same things I liked when I was little from a sentimental standpoint (I’m looking at you, N*SYNC), but I think the fact that my interests and passions have changed shows that I’ve grown and developed as a person, and I think growth and development is more than okay — it’s ideal. I think that’s awesome. Even after my internship I didn’t really think I’d end up where I am right now — in fact, I remember saying to people the summer after my internship that I’d be working at camp for at least one, if not more, summers unless something else literally fell into my lap…I wasn’t going to go out searching. Lo and behold, that’s exactly what happened with the job I have now. I might end up back in Michigan…I might not…who knows? I know that right now I’m where I need to be to figure out who I am, and I think that’s really important. I admire you so much for trying new things and being open to change. Not planning out my entire life is something that I’ve gotten better with over time but it’s still a struggle for me. I have no idea where I will be in 5 years either and it’s kind of exciting (and scary!) to not know for once. Definitely one of the hardest things for me about being out of school is realizing that for the first time in my life, I have absolutely no clue where I’ll be in 1, 5, 10, whatever years. In school, it was always very clear: I’d still be in school. Now, I truly don’t know if I’ll be in Chicago this time next year or not, which is not to say that I expect to leave Chicago or have plans to leave Chicago in the next year…it’s just not like school when I had that assurance that I’d still be back at the same school year after year. I agree that it is exciting, though. I don’t always like not knowing where I’m going to be, but I kind of like the adventure that comes along with it! Great post! I agree that 5 year plans are for the birds. I never thought I’d be in Chicago, either. I had no idea that I’d love it so much. And what will happen in another 5 years? Who knows! I just want to make choices that make me happy. Truth. I think doing what makes you happy is way better than following any arbitrary plan you came up with for yourself when trying to play psychic with your own life. I thoroughly agree with you. I think having a general plan, or any plan, is good, and always being open to changing it. It sets you in a direction and is a comfort to know you’re aiming somewhere, but being able to say yes to opportunities and venture out into new realms is what living is all about! I’m so glad you’ve been able to do just that. I also came to Chicago thinking I would only be here for a few months and that I wouldn’t like it because I hadn’t liked Chicago on my few visits, but here I am over a year later, in love with this city and here of my own accord. Plans change. People grow. It’s lovely! I love this comment. Like you said, it’s definitely good to have direction, but being open to what comes along while following that direction makes the journey far, far more enjoyable than traveling the metaphorical road with blinders. bethany, i love this!!!! I agree that it is great to have a general idea or some goals set for yourself so you have something to work for, but should someone have a step by step plan that they are fearful to deviate from, absolutely not! Like you – I want to spend my 20s in a larger metropolitan area, and what happens during that time & after that time, I am open to. I think that is the biggest gift we can give to ourselves. I have achievements I would like to meet along the way, but they are all goals that can be achieved anywhere and that will better me. This is awesome. I remember when I was approaching graduation in college and totally freaked out about not knowing where I was going to be living or what I was going to be doing. It is hard to let go of that control. Now I have no idea what I’ll be doing in 5 years or where I might be. I enjoy my job, but realize it’s unlikely that I will still be here in 5 or 10 years. I’ve found that when I can let go of all my expectations of what I should be doing, that is when I enjoy myself the most. I really like what you hit on here with letting go of control — that’s seriously such a scary thing to deal with. I’ve found that doing what I can to live in the moment and not get too caught up in where my life may go is really the only healthy way for me to deal with the future, and staying that in the moment also makes it easier for me to roll with things as they come to me. So I just stumbled on this post from Alex’s blog (runwithin), and I felt like I was the one talking. I’m also a Type A planner, and I’ve always been really goal-oriented. But now that I’m out of college and working in my field, I really have no idea what I want to do now. I thought I’d be single and living in a big city and be working somewhere epic, but I’m at a small newspaper outside my hometown with a serious boyfriend. I’m definitely not complaining because I’m happy, but it’s amazing how life changes your direction. Hi Amanda! Thanks for stopping by 🙂 It’s definitely interesting to see how our plans for our lives compare vs. what actually happens in our lives. I think the whole “I really have no idea what I want to do now” thought is so common amongst people in their 20s (or at least it’s very common amongst people I know in their 20s haha), and I think something this whole go-with-the-flow attitude has taught me is that it’s good to embrace that uncertainty and see where it leads you, because you never know what might happen as a result!